Based on the Margaret Mitchell novel, 1939’s Gone With the Wind is arguably the most popular film ever made and one of the most successful as well. It is of course the story of the American south during the Civil War, but really it is simply a sweeping and epic story of love. Note that I didn’t call it a love story, because it’s not that. It’s more like a misguided or forbidden love story. Surely the main characters love people who don’t return their affection in the way they’d like. Scarlett O’Hara loves Ashley Wilkes, but while he sometimes thinks he loves Scarlett, he is really only in love with his cousin Melanie Hamilton. And for all his bravado, Rhett Butler loves Scarlett despite her inability to return his affection. All of this is set against the demise of their beloved south, although Mitchell surely romanticizes the lifestyle far too much. It’s truly hard not to enjoy Gone With the Wind. It is a classic of American film and the story is wonderful. But for my money Gone With the Wind is one of the greatest films ever because of its tremendous performances. And that begins, undoubtedly, with Vivien Leigh’s tour de force as Scarlett. Has there ever been a more epic female character in the history of film? Leigh’s Scarlett is beautiful, charming, manipulative, strong and tragic — all at once! Leigh’s Oscar-winning performance is one for the ages and I defy you to take your eyes off of her when she’s on the screen. Leigh made plenty of films over her career, but she will always be immortalized as Scarlett O’Hara and rightfully so. Clark Gable, who surprisingly did not win the Best Actor Oscar for his portrayal as Captain Rhett Butler, was almost as epic as Leigh. Butler is the epitome of the leading man…he is smart, handsome, strong and savvy. He makes millions during the war as a profiteer, knows how to have a good time, and is the only man who sees beyond Scarlett O’Hara’s facade and truly gets her. Unfortunately for Butler he truly loves Scarlett, and that leads him only to tragedy. By the end he at least knows when it’s time to get out! Gable’s Butler is one of the best male characters ever to be captured on film, and if you disagree…frankly I don’t give a damn. 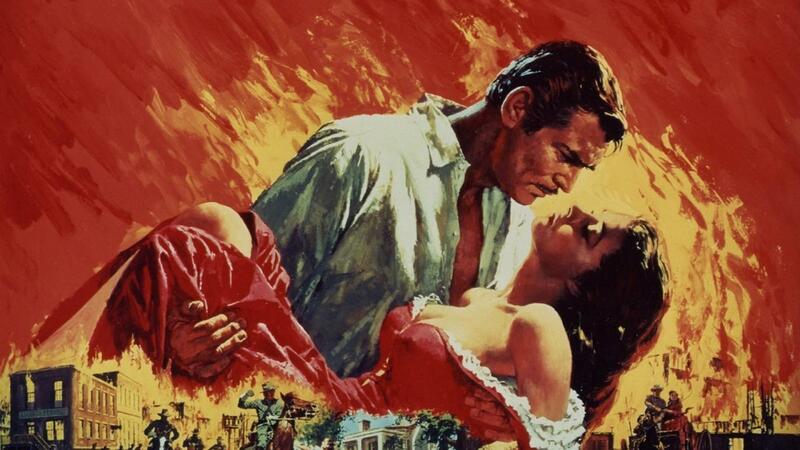 Gone With the Wind is the definition of an epic and it deserves its lofty place on the AFI list. It is indeed an American classic.